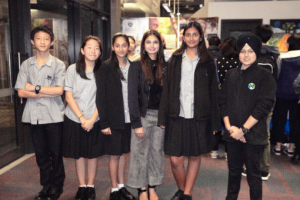 Last night careers advisor Mrs Ulika Singh and MHJC students attended the annual ‘Careers Expo’ at Ormiston Senior College. The event was a huge success with many institutions from throughout New Zealand showcasing numerous degree and vocational pathways, scholarship opportunities as well as unique business enterprises. The key presentations from Auckland University and the Manukau Institute of Technology were particularly useful, as they outlined NCEA subjects and points required for entry into courses offered. It was particularly exciting for MHJC students to interact with OSC students and staff, whom offered advice and support with learning opportunities when they venture into senior college.